I took the photo not because Scott’s had any particular significance to me, but because of its very handsome shopfront. 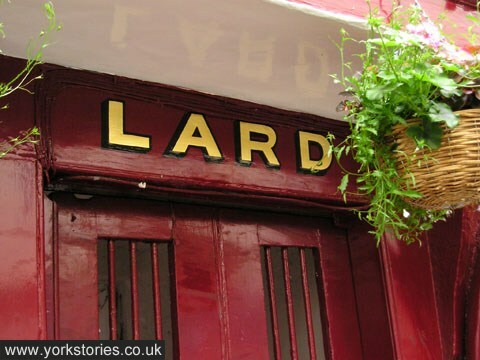 And particularly because of its proud proclamation of ‘LARD’. Here’s the shop in April this year. Now a branch of JoJo Maman BéBé. Photo taken because the contrast between how it was and how it is seemed so striking, and somehow representative of bigger changes. The ‘Lard doorway’, as I called it, was my favourite part of the Scott’s frontage. Through the pale blue tasteful paint if you’re close enough you can still see the outline of LARD above the gateway to the side of the shop, a ghost of the former business. It looked very traditional, smart. And also, continuing the theme of the previous two pages, rather ‘manly’. Whereas its current incarnation is about as feminine as you could get. Soft colours and a gentle soothing name, tasteful and nice. Scott’s didn’t close because of lack of business. The reasons were explained in a story in The Press, see the link below. Access for delivery vehicles seemed to be a contributing factor. Something I imagine will only become more difficult with increasing restrictions, eg the forthcoming closure of Lendal Bridge. Maybe shops will have to resort to having deliveries dropped by helicopter from the sky. I’m 32 but remember as far back in the last 1980’s massive long queues at Scott’s especially at Christmas and it didn’t seem imaginable at that time that it would close down but it sadly did, it was an end of an era and a little bit of York was lost, the street just doesn’t feel the same, so sad. 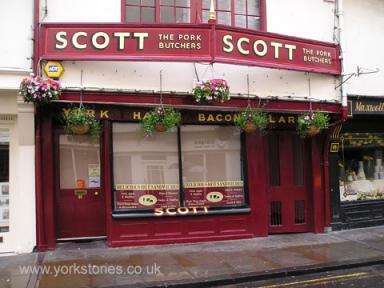 I used to shop at Scotts when I lived in York in 2002-2003 and again in 2004-2005. 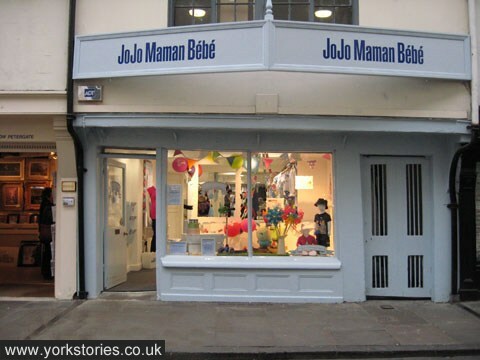 I’ve only just found out it’s closed and I’m so sad. For such a bad reason too, through corporate customer failure and being owed money by restaurants and caterers not lack of customers. An absolute institution. I used to get pigs trotters from there, gorgeous in a stew.